Stamping with a Passion! : Taylored Expressions June Sneak Peeks: Summer is Here!! Taylored Expressions June Sneak Peeks: Summer is Here!! 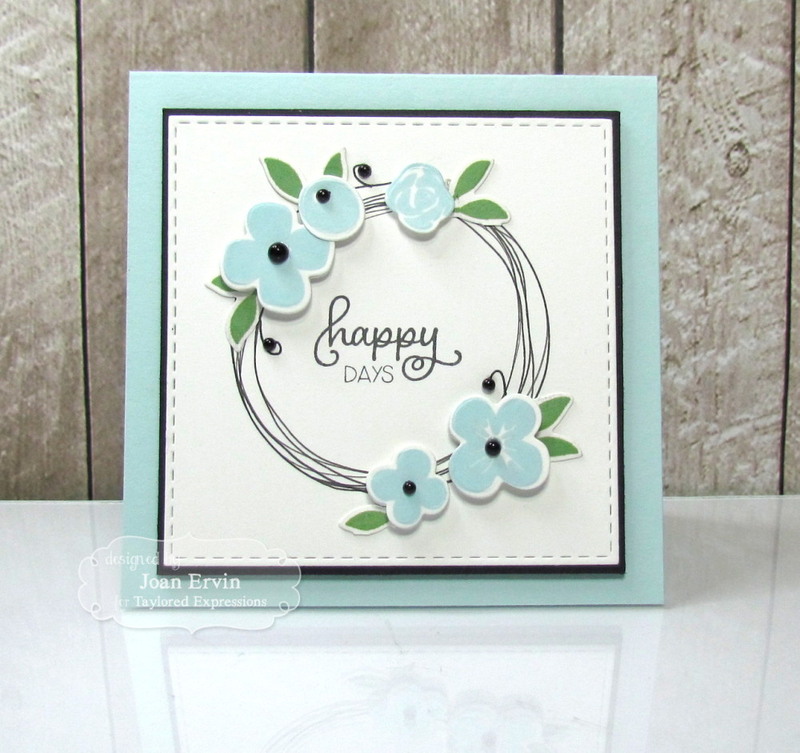 My first card features the Fresh Florals stamp set and the Fresh Florals Coordinating Dies. The flowers were all stamped with the Taylored Expressions Salt Water Taffy ink and the leaves were stamped with TE's Granny Smith ink. They were all cut out with the Fresh Florals Coordinating Dies and popped up on the Sugar Cube background that was cutout with one of the previously released Stitched Rectangle Stacklets. 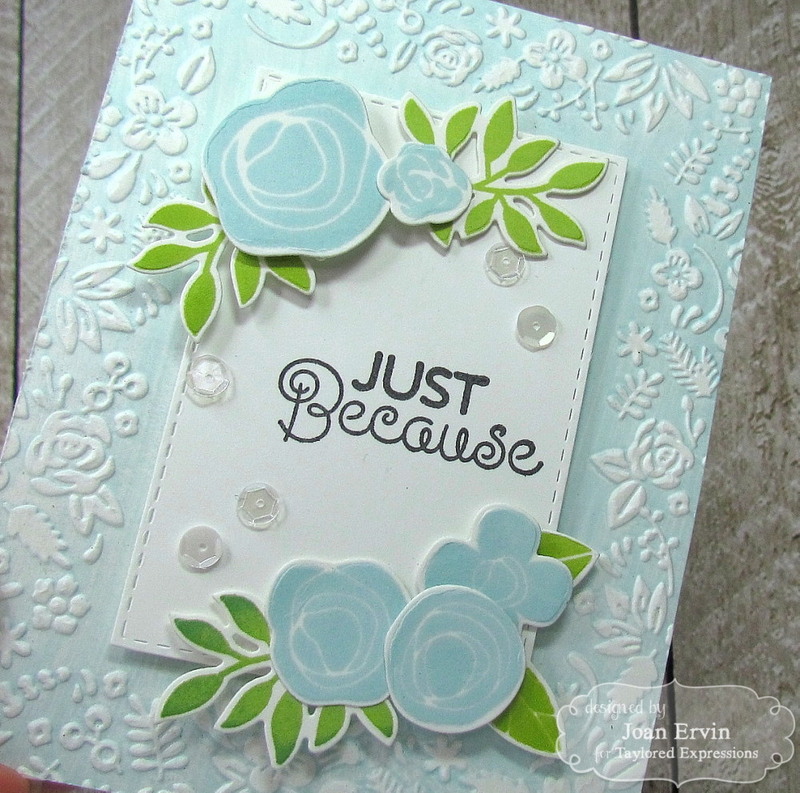 I used a fun technique for the embossed background....TE's Salt Water Taffy ink was used to cover the inside of the Garden Party Embossing Folder and then it was run through the Cuttlebug. The raised part of the embossed area stayed white and the background picked up the ink...love this look!! The sentiment from the same set was stamped with TE's Oreo ink and the TE Sequins - Hello Happiness finishes it off. Since I had several diecut Fresh Florals flowers left over from my first card, I just couldn't let them go to waste so I drew several circles in the center of a Sugar Cube Stitched Square Stacklets diecut with a journaling pen and added the flowers with foam tape. The leaves were stamped with TE's Peapod ink and adhered under the flowers. 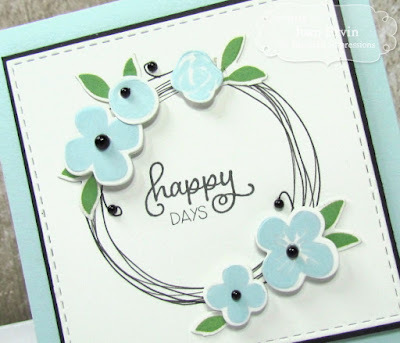 The sentiment from the previously released Sunshiny Days Stamp Set was stamped in the center of the wreath with TE's Oreo ink and the black pearls finish it off. My last card was created with the Door to Door - Summer dies. 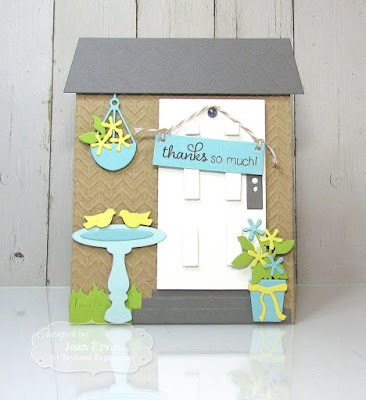 They coordinate with the previously released Door to Door die set...the door was cutout of Sugar Cube cardstock and adhered to the Toffee cardstock *house siding* which was embossed with the Chevron Embossing Folder. The Door to Door - Roof was cut out of Earl Grey cardstock as were the stairs and the door knob plate on the door. The birdbath was cut out of Salt Water Taffy with Sprinkles water and Potato Chip birds. The hanging basket was cutout of Sprinkles with Granny Smith leaves and Potato Chip flowers. 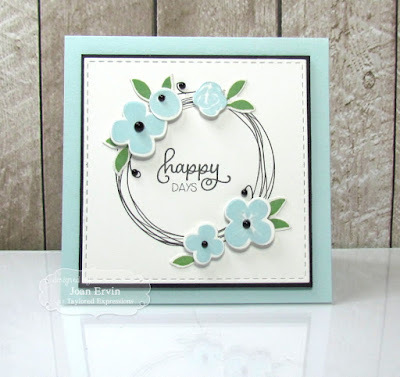 The same cardstock was used for the pot of flowers and the door sign with the sentiment from the previously released Sunshiny Days stamp set is the finishing touch. Thanks so much for stopping by today... If you would like to see more projects and new product info, please head on over to the TE Blog for a complete list of our participating designers!! 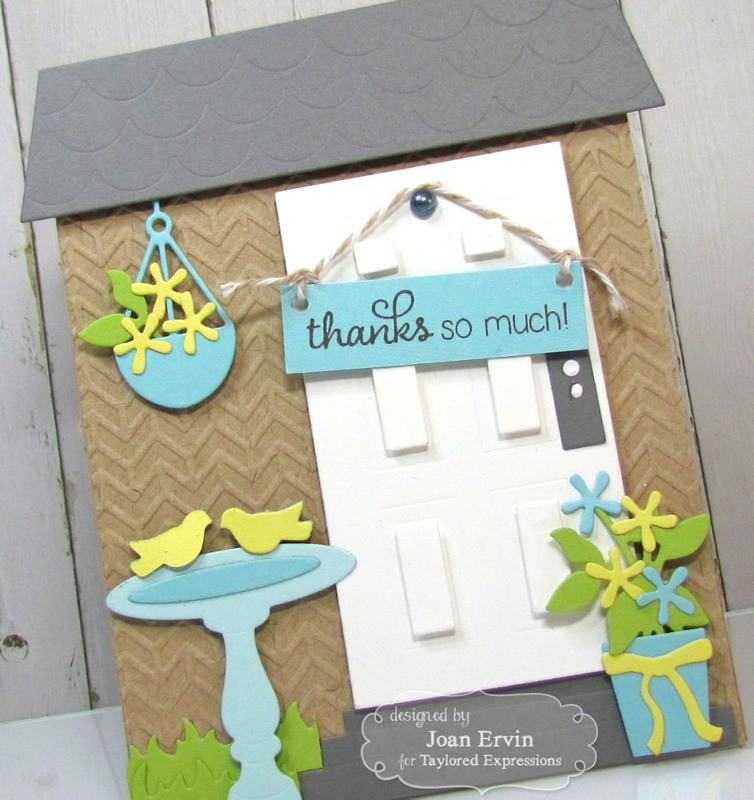 Fabulous cards Joan! Love them all! 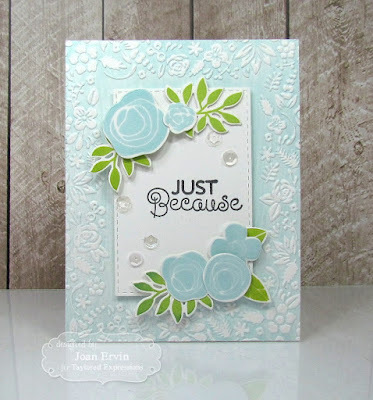 Gorgeous, gorgeous, gorgeous Joan, all three cards are exquisite! I love them all!! I love all three of your softly colored cards! Love is a Four - Legged Word! !